Find out how the English Department's Masters in English program can open your mind and kickstart your career. 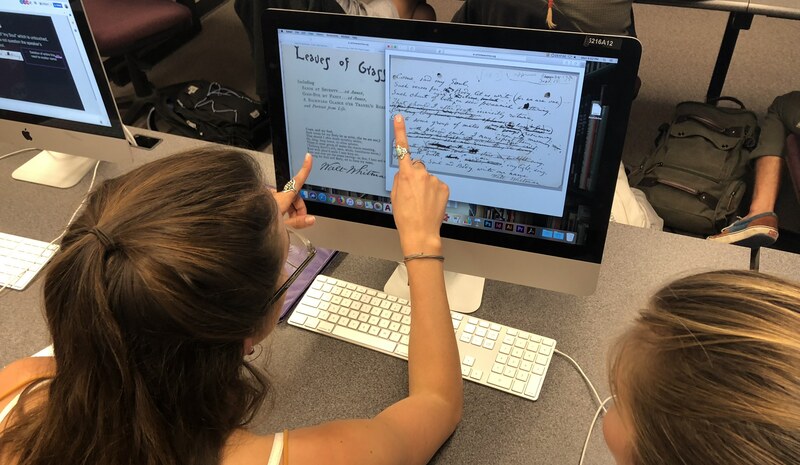 The Department of English at California Polytechnic State University, San Luis Obispo is thrilled to announce the launch of its new Blended B.A. + M.A. degree program! 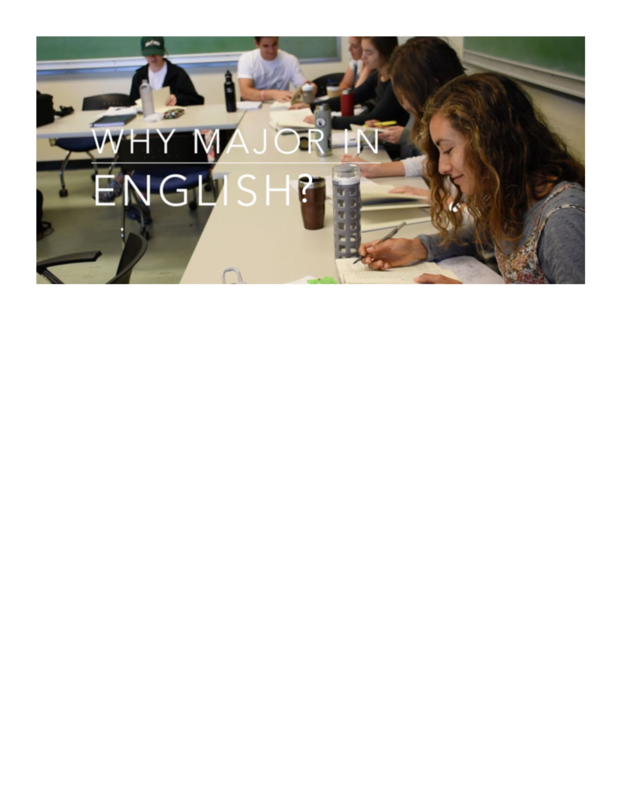 Why Major in English at Cal Poly? An English major or minor is great preparation for a career where critical thinking, nuanced analysis, and clear communication are essential. See our video and learn more. 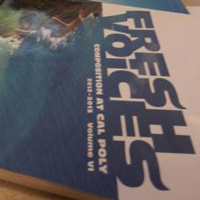 You can take classes in Literature, Creative Writing, Technical Communications, Linguistics/TESOL, and Rhetoric as a student in the Cal Poly English department. All English majors envision and complete their own individual senior projects, such as organizing and running a Human Library event! See the Senior Project area for more information. 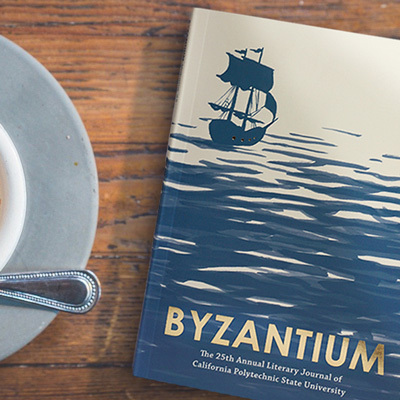 Read the latest news about and from English Department students, alumni and faculty. The English Department is looking to the future — specifically, how we can continue our legacy of success through increased support of our students and faculty. Career Connections is designed to help English Department students explore careers that interest them by drawing on alumni “connectors” (like you!) who have contacts in any of a number of fields. 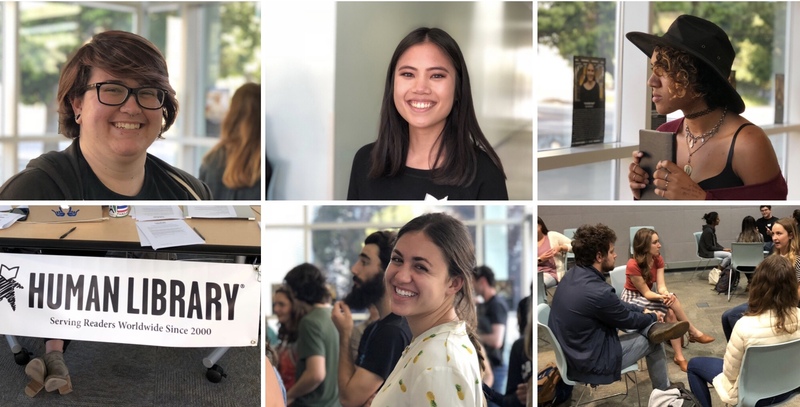 The Cal Poly English Department provides an inclusive learning environment to promote the study of language, literatures, and rhetorics in diverse contexts. We are committed to fostering a respect for difference within our curriculum, our scholarship, and our community. Our undergraduate and graduate students learn to read carefully and deeply; to think critically and creatively; to write clearly, persuasively, and ethically; and to understand how power structures and cultural practices shape the production and reception of texts. Our faculty offer courses in literature, creative writing, composition and rhetoric, technical and professional communication, linguistics, film, English education, and theory and criticism. Our interdisciplinary approach provides a rich foundation in English Studies for our majors, our graduate students, and General Education students. Are you interested in getting more information about attending Cal Poly? Please visit the Cal Poly Admissions page to request info that is modeled to your interests. Cal Poly is in tiłhini, the Place of the Full Moon. We gratefully acknowledge, respect, and thank yak tityu tityu yak tiłhini, Northern Chumash Tribe of San Luis Obispo County and Region in whose homelands we are guests. Cal Poly Senior, Amelia Meyerhoff created "The Clapback" to promote empathy for victims of sexual violence. Cal Poly English Alumnus Johannes Lichtman, class of 2008, debuts his first novel Such Good Work!